The Ministry of Education, Youth, Culture and Library Services, as part of the changes made to the National Scholarship Policy of July 2018, following the adoption of the skills Audit in February 2018, saw the inclusion of new priority areas of study into the existing scholarship application, having been revised for the 2019 academic year. In addition to these new broad areas of studies, new programmes were identified under existing areas of priorities such as under education, health, law, technical/vocational. Students who may not have been successful in receiving a scholarship this academic year are encouraged to reapply for academic year 2019/20 now, with the release of the NEW scholarship applications for 2019/20. 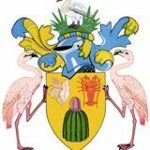 The Ministry of Education wishes to encourage all Turks and Caicos Islanders to further their education and enroll into Tertiary studies. As part of this mandate, the Turks and Caicos Islands Government in recent years attained full membership to the University of the West Indies. This therefore enables Turks and Caicos Islanders who are not beneficiaries of a scholarship to be able to attend any of the University of the West Indies three campuses in Jamaica, Barbados or Trinidad & Tobago and pay a reduced tuition fee. The UWI Open Campus also provides an opportunity for students to pursue tertiary education while remaining in the country through online courses of study. For courses that are offered at the Turks and Caicos Islands Community College (TCICC), at any level, applicants will be referred to the TCICC.